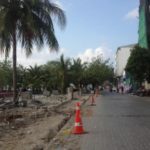 The Badidhoo island in Dhaal atoll is the latest flashpoint in the removal of trees for the landscaping of new resorts, an increasingly common practice environmental activists have dubbed #MvTreeGrab. 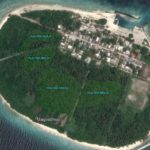 A local hospitality company wants 582 coconut palms and three other trees to be replanted on Aluvifushi, an island under development as a tourist resort about three kilometres from Bandidhoo, according to an environmental impact assessment submitted for approval to the Environmental Protection Agency. These include more than 300 coconut palms identified as “mature (excellent quality)” in the report seen by the Maldives Independent. The vegetation would be cleared out to make way for 10 roads, of which seven would provide access for the 790-strong population to the beach. Most of the palm trees are privately owned by islanders and the resort developer proposed to pay compensation. 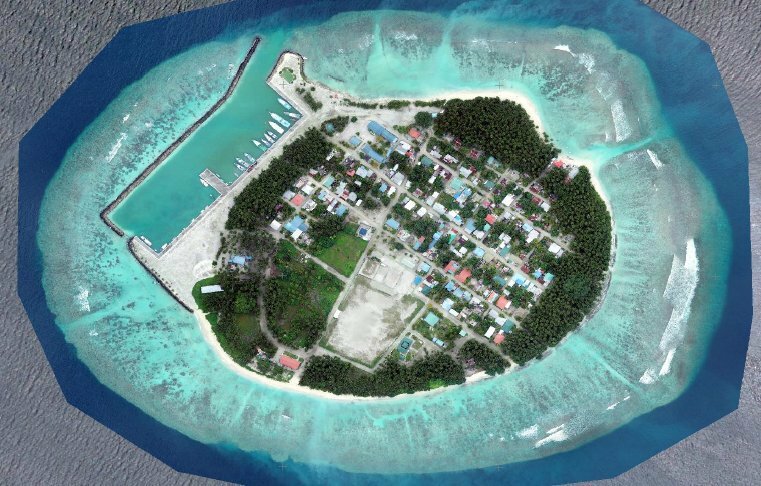 Aluvifushi is a new property under the Sun Siyam brand owned by tycoon Ahmed Siyam, MP for the Dhaal Meedhoo constituency and leader of the Maldives Development Alliance. The EPA is currently reviewing the environmental study. “A decision for the project has not yet been issued. 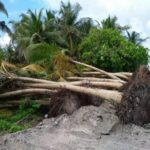 We are investigating claims of illegal uprooting of palms from Bandidhoo with assistance of [police],” the EPA tweeted Wednesday after photos on social media purported to show coconut palms already being removed from Bandidhoo. But the president of the Bandidhoo island council, headed by councillors from Siyam’s MDA party, told the Maldives Independent the photos were not from the island. “This is a complete fabrication. There is no heavy equipment in the island and no palm trees or any other tree has been uprooted yet. We are also waiting for the EPA to give the relevant permissions for the work,” Hassan Haneef said. Asked whether the 22-hectare island with a small population needed more roads, Haneef said the roads were an extension of previously approved roads under a land use plan. An islander who spoke to the Maldives Independent said there was some concern about the potential loss from not being able to harvest coconuts from the hundreds of palms that could be uprooted. “Many people get some income by selling coconuts to neighbouring islands and Malé from the coconut palms they own and a lot of these will be removed. The council has already marked the palms that are going to be uprooted,” he said. An investigation by the Organised Crime and Corruption Reporting Project found that Aluvifushi was leased for a US$100,000 discount on its market value of US$400,000. The uninhabited island was leased by the Maldives Marketing and Public Relations Corporation. A special audit from 2016 revealed nearly US$80 million was embezzled through the MMPRC, mostly from acquisition fees or lease payments for more than 50 islands. The EPA, which functions as a quasi-independent body under the environment ministry, has been under fire recently over the failure to take action over the illegal clearance of vegetation on several islands. According to rules on removal of trees, a permit must be obtained from the EPA before removing more than 10 trees and an assessment has to be done for the removal of more than 200 trees. The EPA’s approval of assessments conducted by independent consultants is also required by law for infrastructure projects. 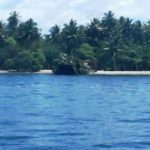 Last week, the agency rejected an assessment conducted for a controversial airport project on Fainu island. 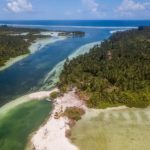 But the environmental watchdog defended the deforestation of Lhaviyani Madivaru to build a domestic airport on the uninhabited island. Earlier this month, the Maldives Customs Service stopped the illegal export of coconut palms from the Maafaru island in Noonu atoll. So it turns out that it is not just Bandidhoo alone that relies on coconuts that grows on Bandidhoo palms. Check out this post. Bandidhoo EIA no-project alternative does not even acknowledge that a community of people with little to no resources depend on their palm groves as an income source.